Dogbane - Apocynum cannabinum L.
Scientific name: Apocynum cannabinum L.
The common name, Dogbane, refers to the plant's toxic nature, which has been described as "poisonous to dogs." Apocynum means "Away dog!" and cannabinum means "like hemp," in reference to the strong cordage that was made by weaving together the stem's long fibers. Description: A perennial with opposite leaves that secretes a milky sap when bruised or broken, reaching 5-6 feet in height. Found throughout the United States. Other common names throughout the United States: Black hemp, Black Indian hemp, Canadian hemp, American hemp, Amy-root, Bowmans root, Bitterroot, Indian-physic, Rheumatism weed, Milkweed, Wild cotton, Choctaw-root, and General Marion's Weed. Leaves: Entire margins (meaning the leaf's edges are smooth, not notched or toothed), ovate or elliptic, 2-5 inches long, 0.5-1.5 inches wide, and arranged oppositely along the stem. Leaves have short petioles (stems) and are sparingly pubescent or lacking hairs beneath. The lower leaves have stems while the upper leaves may not. The leaves turn yellow in the fall, then drop off. 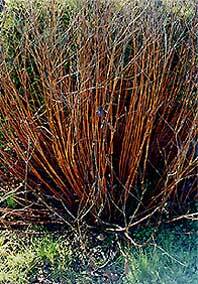 Stems: Lack hairs, often have a reddish-brown tint when mature, become woody at the base, and are much-branched in the upper portions of the plant. Roots: These plants may be found growing as colonies due to a long horizontal rootstock that develops from an initial taproot. Flowers: Small, white to greenish-white, and produced in terminal clusters (cymes). The flower size is 1/4 inch wide. Blooms first appear in late spring and continue into late summer. The flowers are borne in dense heads followed later by the slender, pointed pods which are about 4 inches in length. Many small insect pollinators, such as wasps and flies, pollinate the flowers. Fruit: Long (5 inches or more), narrow follicles produced in pairs (one from each ovary) that turn reddish-brown when mature and develop into two long pods containing numerous seed with tufts of silky white hairs at their ends. Identifying Characteristics: Stems and leaves secrete a milky sap when broken. Sprouts emerging from the underground horizontal rootstock may be confused with Common Milkweed (Asclepias syriaca) emerging shoots. 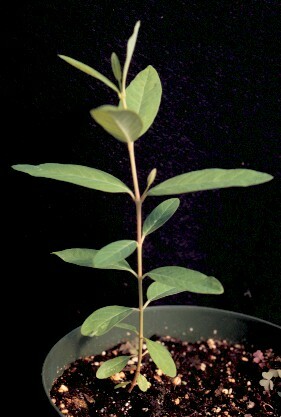 But note that they are not related to milkweeds, despite the milky sap and the similar leaf shape and growth habit. The flower shape is quite unlike that of milkweed flowers and the leaves of hemp dogbane are much smaller than those of common milkweed. 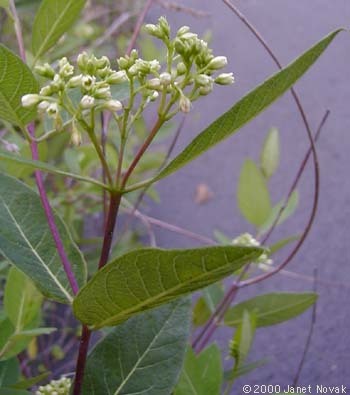 When mature, these native plants may be distinguished by the branching in the upper portions of the plant that occurs in hemp dogbane, and also the smaller size of hemp dogbane compared to Common milkweed. Habitat and range: Widespread in temperate areas from New England to Florida, parts of the southeast, Texas to California and north to British Columbia. Dogbane is a native of this country and may be found in thickets and along the borders of odd fields throughout the United States. Hemp dogbane occurs under moist conditions. Grows in average, dry to medium wet, well-drained soil in full sun. Commonly is found in gravelly or sandy fields, riparian areas, in meadows, along creek beds, irrigation ditches, hillside seeps, and fence lines in cultivated pastures. New plants begin growing in late spring or early summer. Cymarin, a chemical found in the plant's roots, was used as a cardiac stimulant, and was listed until 1952 in the medicinal text United States Pharmacopoeia. The milky sap contains cardiac glycosides (a chemical compound derived from a simple sugar and is often of medicinal importance) that have physiologic actions similar to digitoxin. The toxic sap deters herbivores from feeding on the plant. Normally, animals avoid hemp dogbane because of its bitter, sticky, milk-white juice. Sheep are more frequently affected than other animals, as they will eat large quantities of hemp dogbane leaves and tops if other forages are not available. This most often occurs when animals are turned onto harvested fields or on fall ranges when forage is scarce. Poisoning can also occur when livestock are trailed from summer to winter ranges and other forages are not available. Although this plant is considered toxic to humans, the roots were commonly harvested in the 19th and early 20th centuries for a variety of folk medicine and medical purposes. Uses: Hemp dogbane is known for its use as cordage. Before domestic cotton was introduced and cultivated in the Southwest, around 700 A.D., leaf and stem fibers, hair or wool from dogs or wild animals, bird feathers, animal skins, or human hair were used to create prehistoric cordage. 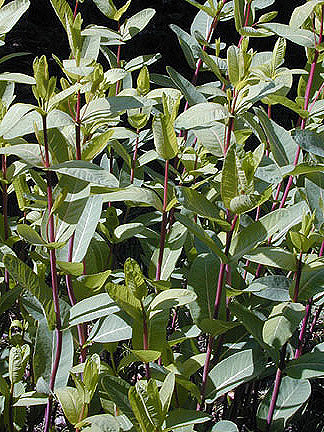 Dogbane fibers have been found in some archeological sites thousands of years old. 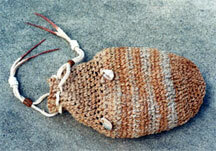 The native people from many nations in North America produced various useful items from the hemp fibers. They made cordage and thread from the plant with no other equipment than their hands and thighs. 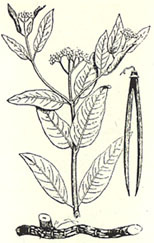 Fibers of the dogbane plant were rolled together to make a functional material stronger than cotton. The twine was excellent for making fishing lines and nets because it keeps its strength under water and does not shrink. 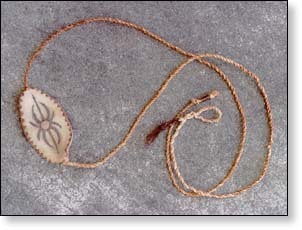 It was also used in the manufacture of many other items, including deer and rabbit nets, slings for hunting small game, nooses for snaring grouse and other game birds, hide stretchers, bowstrings, moccasins, clothing, straps and tumplines, woven bedding for baby cradles, wheels used in a type of dart game, carrying nets, and cat-tail mats. 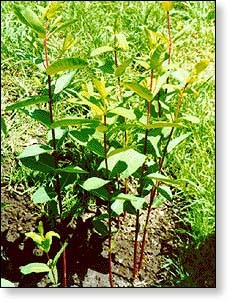 The stems were harvested late fall, after frosts have caused the sap to drop into the plant's perennial rootbase, and the leaves turn to yellow and fall from the stem. At this stage, the reddish-brown stalk becomes stiff and can easily be clipped from the rootbase flush to the ground. Dogbane stalks were also collected in winter, when the stalks are dry and brittle. Dry stalks are easiest to work, but if allowed to stand in the field through the winter and into spring, the fibers weaken. The harvested plants were bundled by the lower ends for carrying. The cordage fibers are found in a layer between the thin outer skin and the woody, hollow center of the stem. Carefully scraping with a shell, an obsidian flake, chert spall, or deer rib removed the outer bark from the fibers. The top spreading branches were trimmed off and the stems were flattened between the fingers into four pieces. They were then split open from bottom to top. The length of brittle, woody core was broken into 2 inch pieces and pulled off the fibers by hand until all of the woody material was removed. Then the process of rubbing and rolling the hemp between the hands helped clear away any other skin that still clinged to the fibers. Not everyone scraped the dogbane first. 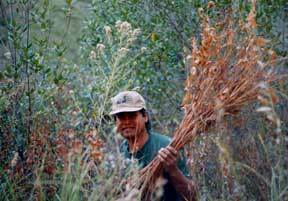 Paiute people and others simply split and broke the dry stalks without scraping, and removed all the outer bark by rubbing. 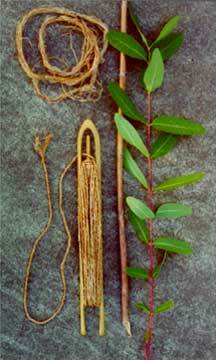 Dogbane and other bast fibers can also be soaked (called "retting") to release the fibers. Retting was used when the bark adhered more tightly to the fibers. The dogbane fibers were made into twine by twisting and rolling them with the hand on the bare thigh. The hands were kept damp to increase the friction. More stem fibers were joined together by splicing. The short end that needed splicing was overlapped with the new addition of fibers, then rolled together until they were intertwined. An average plant yields about 2 1/2 feet of fiber, but one fourth of this is lost in the splicing process. By splicing the stems together, a continuous length of twine could be produced. A strong rope could be made by plying several lengths of twine together. A good Indian hemp rope is said to have the equivalent strength of a modern hemp rope with a breaking point of several hundred pounds. The twine would keep for many years if stored in a dry place. 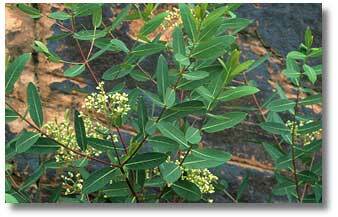 In drier, more open areas, dogbane grows shorter (two or three feet), with more branches. 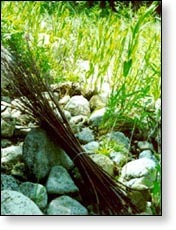 In dense streambank thickets, the stems grow much longer and with fewer side branches, and are therefore more desirable for cordage. Different sizes of stalks and different growing conditions yield different colored fibers. Learn to process dogbane stalks into cordage. We hope the information on the PrimitiveWays website is both instructional and enjoyable. Understand that no warranty or guarantee is included. We expect adults to act responsibly and children to be supervised by a responsible adult. If you use information on this site to create your own projects or if you try techniques described on PrimitiveWays, behave in accordance with applicable laws, and think about the sustainability of the natural resources. Using tools or techniques described on PrimitiveWays can be dangerous with exposure to heavy, sharp or pointed objects, fire, stone tools and hazards present in outdoor settings. Without proper care and caution, or if done incorrectly, there is a risk of property damage, personal injury or even death. So, be advised: Anyone using any information provided on the PrimitiveWays website assumes responsibility for using proper care and caution to protect proerty, the life, health and safety of himself or herself and all others. He or she expressly assumes all risk of harm or damage to all persons or property proximately caused by the use of this information.